Since I originally planned to join the zombie chase at Outbreak, Enchanted Kingdom, I thought of putting something together at the last minute. It has to be comfortable and casual so that I can run for my life as swiftly as possible. Although as I’ve said, I didn’t end up going, I decided to share this outfit with you still. I know there might be some of you are still in need of costume inspiration so here’s a wearable costume for you. It’s something you can easily put together using existing pieces in your closet. There’s no need to go all out. Meet newspaper girl Camille, at your service! Actually, it’s a little like newspaper girl meets Brooklyn girl LOL! This is what happens when you pile stuff on spontaneously. You get a little confused what you’re going for but it still somehow works. In short, nakalusot naman. So what are my favorite items here? My newsboy cap and studded shorts! I love how these shorts are ripped and studded but are not overly done. If you scroll down below, you’ll see how the studs were strategically placed in certain areas only. They’re well-thought off which I appreciate so much. If more studs were attached, these shorts would not have turned out as pretty as they have. I’m actually really happy the newsboy cap is back on trend. It’s always been one of my favorites–so quirky and charming! Because I was really looking forward to my first ever Halloween, I even had my nails done in a Halloween-inspired design! Lookey! My pinky says “Boo”; my ring finger has 2 ghosts on it; my middle finger is a pumpkin; my index finger has lollipop treats and my thumb has a spider on it. Thank you Nail Spa Lounge by Ellabell for making my nails extra cute! I can’t stop staring at them! Once again, I wish all of you a happy Halloween! This is newspaper girl Camille, signing off! I love everything in these pictures, Ms. Camille! <3 More power to you! I envy you for being so prettyy!!!! :( Haha. And its too bad that I already used all the positive words in the dictionary just to describe you! :”> Hahaha! I like your nails a lot Ms. Camille! And the entire outfit, so cool. 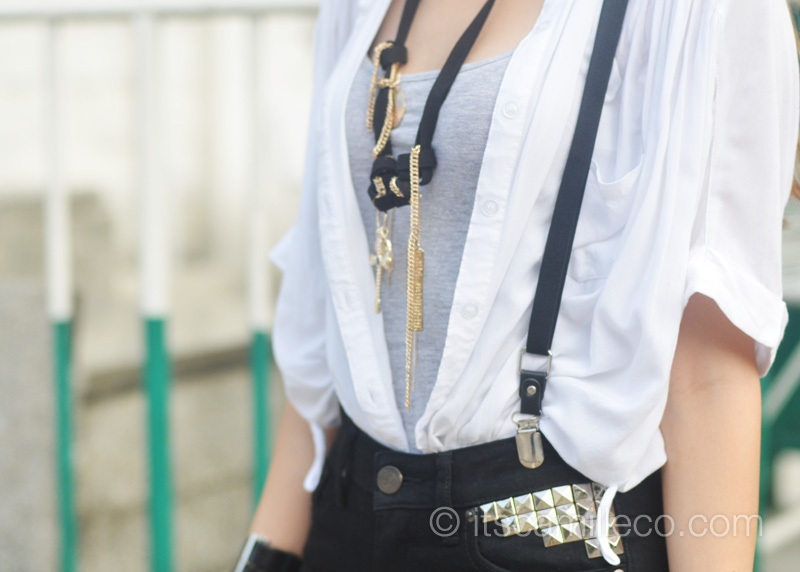 It’s effortlessly a bit boyish, and I love it! i love your style!ur very chic and edgy!i hope i can be like u.. unfortunately, i don’t know how to match clothes..can u give me some tips ate camille?dnt know kasi if its bagay or baduy.. Thanks Chloe! :) Just keep brushing up on your fashion knowledge :) You’ll slowly get the hang of it! Thank you Charisse! I always run of titles, I’m glad you like them! Do you color your hair yourself? Or do you have a stylist to do that for you? And can i ask what color do you use? Im trying to achieve the same color coz your hair is so awesome. :) Thanks a lot! Hahaha baka they like you lang haha! Thank you Tricia! May next time pa yan, for sure! hi camille!!! 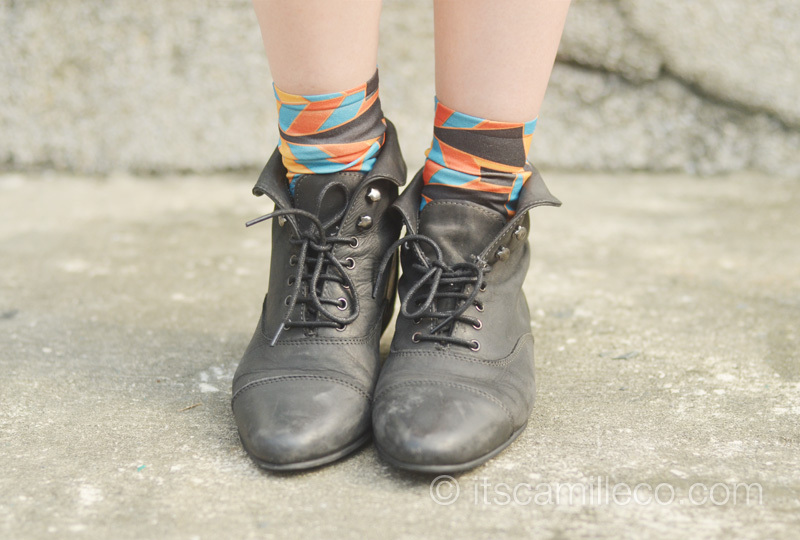 can you wear printed stockings one day???? im sure bagay yun sa iyo!!! i saw a japanese girl with stockings na may star of david symbol!!! must-have for your closet yun i’m sure!!! keep on rockin!!!! I just want to ask po if you have a boyfriend?hehehe..if there is,the boy is really lucky to have you.. Thanks Isa! :) Cute outfit! Is that a toga I see? :) Resourceful! and those lipstick, its perfect on you :) where did you bought it and how much? i love your nails.. soo cute.. :) you look amazing Camille! So many Topshop! <3 are they all in SALE now? Thanks Mia! May next year pa! hindi ganyan kalakas ang dating. Thank you Donna! Sweet mo naman! Thank you Trisha! It would’ve been fun, I’m sure! 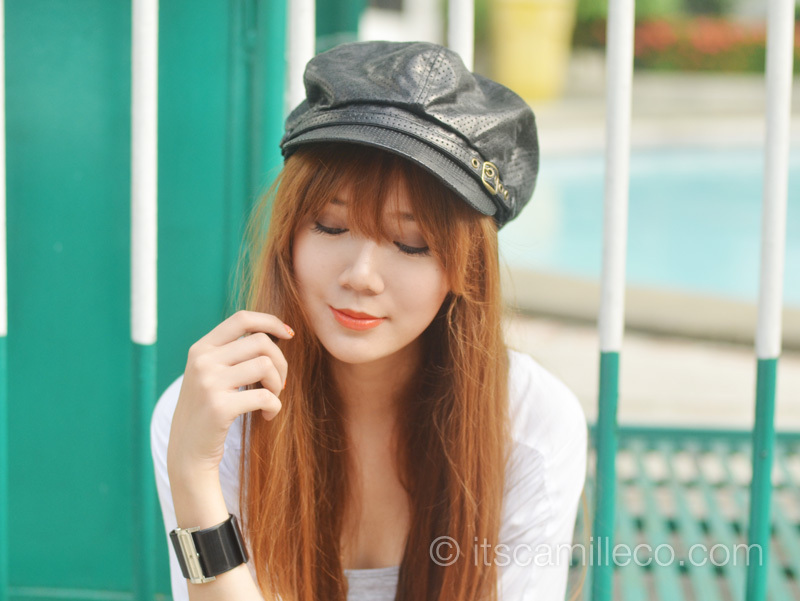 Hi Ms.Cams!I really like your outfit especially the newsboy cap and your boots. Your so cute. Happy Halloween Ms. Cams! My favorite part are the cute socks!!! Thanks Cathy! :) Couldn’t help inserting some color! OMG! Thank you for notifying me haha! I was clearly that sleepy! What do you think about my styling for halloween? Thanks Jasmine! :) DIY post soon! I love it when you dress up like this. So simple yet so beautiful! :) And as a girl who loves to do nail art, I simply adore your nails. Gotta love Halloween inspired designs. Anyway, I will be in Boracay too! Well, not until Nov4 though. Until when will you be there? Hope to see you! November 4! :) Thank you Patrice! P.S. Incidentally, I found a newsboy cap (my sister’s) just this afternoon. Cute cap, yes! Thank you! I’m glad you noticed my cute socks! :) Bawi tayo! love the outfit! so cute! Happy Halloween!